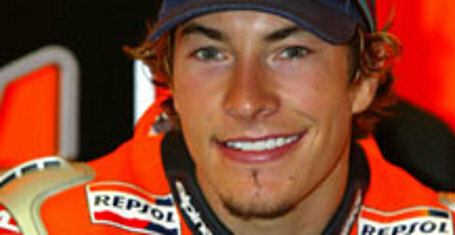 My OUTLANDER Purgatory: Nicky Hayden: Wow. Just...wow. Has anyone ever seen this guy and Jamie Fraser in the same room at the same time??? Thanks to Brandi on My Outlander Purgatory's Facebook Page for alerting us to this Jamie FACIAL likeness! Very good MotoGP rider but way to little to be Jamie... he's 5' 7". LOL Amede. 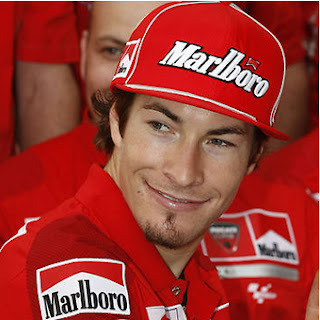 He's also a motorcycle racer. He just has Jamie's face. TOTALLY. I mean - it's UNCANNY! Um...YES!!!!!!!!!!! Can we use the magic of technology to put his face on the body of whatever actor ends up playing Jamie? He is certainly hot! I wish there were more shirtless pictures. *snicker* I would feature him on my Man Candy Monday. Thanks for sharing! Yes!! Definitely. With today's technology, i'm sure they can make him look taller :) Remember John Rhys-Davies as Gimli in Lord of the Rings - he was a believable dwarf. Can they no put the wee laddie on a box?? Or cast very wee people for the rest of the cast??? Oh my, he is perfect!!! Yes - the second picture sealed the deal! There's no option left but to cast verra short people for all the other roles - actually, think of how convenient this would be! A five foot tall Claire is suddenly feasible, and Hayden Pannettiere enters the running to be cast as Laoghaire. The possibilities are endless. Well, all hands say Yea!! Perfect Jamie. Post pictures of this guy anytime you want too and I will be a verra thankful woman! Great Jamie face. Holy Crap! I can't take my eyes off of him. Totally Jamie. That smirk... I love it! His name is Nicky Hayden. Yes, Nicky's too short and no, I don't think he's ever acted. And his Kentucky southern draw isn't close to being Scots. However, at this point none of that really matters as his facial features are perfect!!!! WOW!! Just, wow!!! It's the cat eyes just like I've always imagined them!! Nicky is my husband's cousin. I bout freaked when I saw his pic on your blog. Note to self---Do not stare at upcoming family reunion!! Anonymous: A) WE'RE NOT WORTHY! That RULES that you get to see JFF (Jamie Fraser Face) in person! B) What a conversation starter! 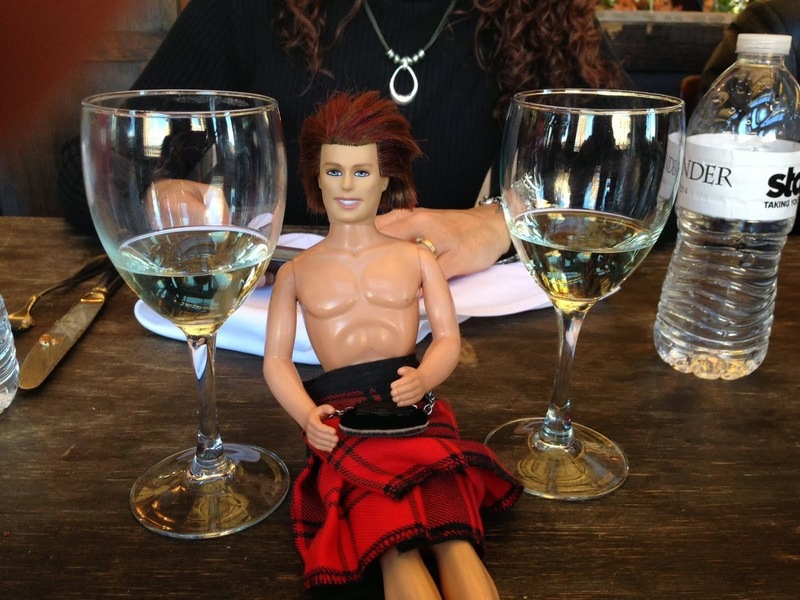 You must tell your hub's cousin that the lassies over at My Outlander Purgatory think he is a perfect facial match for Jamie Fraser (well I canna speak for Tracey - but I do!) and that is a HUGE (said in my best Scots accent) compliment. :) And finally - C) ROFLMAO that he'd even care! LOL!! That's just awesome. Thanks for sharing. And give us an update after the next family reunion! I was just wondering if there was anyway you could just put his face on here permantly so we can just come and stare. Maybe where the standing stones are?? Just kidding....but really. Carol, you can totally speak for me--he's verra nice,lass!